Apple cider vinegar is made from fermented apple cider and is sweeter and less bitter than many other vinegar types. In its raw, unfiltered form, apple cider vinegar is full of beneficial bacteria -- also known as "probiotics" -- that can aid with gastrointestinal issues and help boost the immune system. Like all vinegar, it is high in acetic acid, which can aid in weight control. Raw, unfiltered apple cider vinegar still contains parts of the "mother," a stringy mass of yeast and live bacteria left over from the fermenting process. This is a good thing because while vinegar that's been pasteurized and filtered may look more attractive, it loses the bulk of its nutrient content. 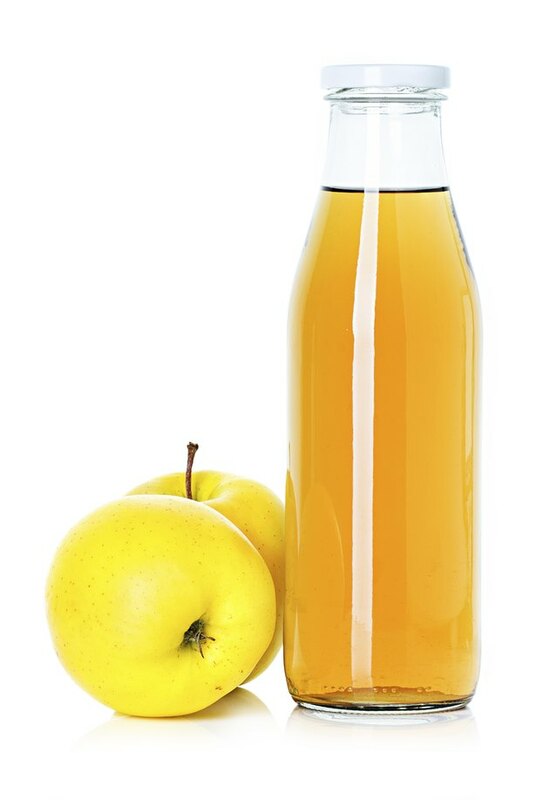 The presence of the mother in an apple cider vinegar bottle means the vinegar still retains its probiotic bacteria. Probiotic bacteria are living microorganisms that can benefit your health. In a survey of gastroenterologists published in the Journal of Clinical Gastroenterology in 2010, 98 percent said probiotics play a role in treating gastrointestinal symptoms or illnesses. Probiotics can also aid the immune system by improving pathogen destruction in the intestine. While this general effect is well-documented, scientists are still figuring out how effects may differ with different types of probiotics. Numerous studies have suggested that acetic acid, a main component of apple cider vinegar, may be beneficial for weight loss or maintenance. In one 2009 study, published in the journal Bioscience, Biotechnology, and Biochemistry, obese individuals who consumed 15 to 30 milliliters of vinegar daily for 12 weeks showed significantly lower body weight, body mass index and waist circumference than subjects who didn't consume the vinegar. In a study published in 2005 in the Journal of the American Dietetic Association, women who had vinegar with their morning meal consumed fewer calories throughout the day. On the nutrition labels of apple cider vinegar bottles, one serving size is usually listed as 15 milliliters, or about 1 tablespoon. In studies on apple cider vinegar's potential health benefits, the dosage varies widely, though a dose of 15 to 30 milliliters daily is common. Apple cider vinegar may be consumed straight or diluted with water.